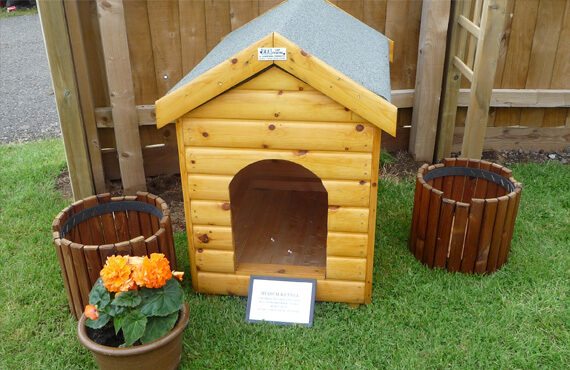 Don't Delay!Harker dog kennels are the only choice for your dog. Contact us now! 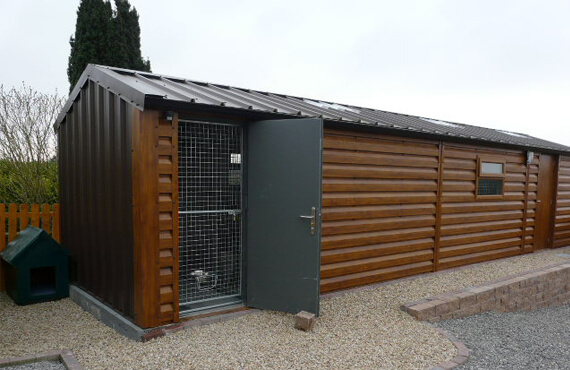 Harker Garden Buildings believe that manufacturing quality dog kennel and run systems comes together by both working with our customers to meet their exact requirements, and also by attention to detail. 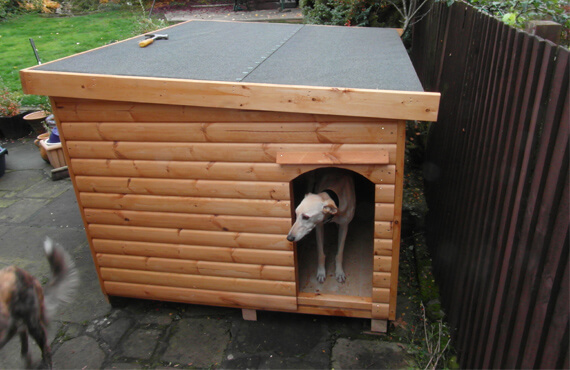 We would be more than happy to discuss your exact requirement, and can customise your kennel too - POA. 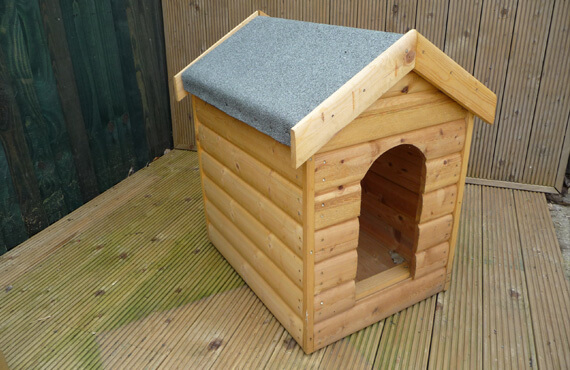 If you’re looking for a small outdoor kennel suitable for one small dog or you’re a professional dog kennel business or dog breeder looking to kennel tens of dogs, we can provide a solution for you. Please contact us for details of our dog kennels, runs & prices. You can also see our range on display at Dobbies garden centre, Carlisle. 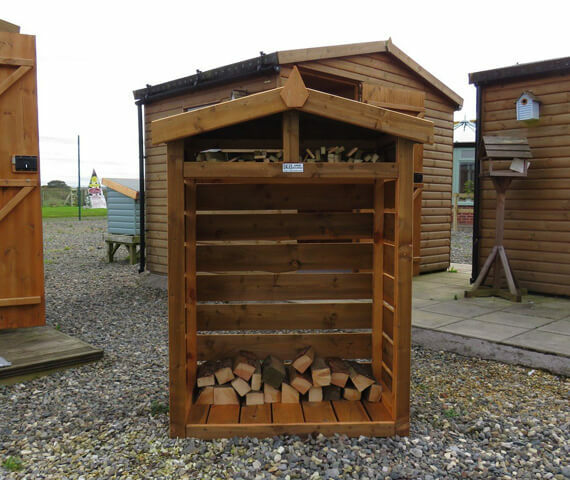 Here at Harker Garden Buildings, we design and build a superb range of quality Log Stores. 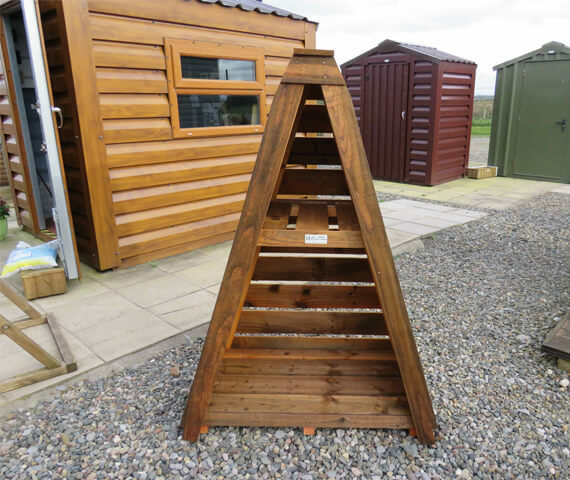 Our Triangular Wooden Log Store combines a modern sleek design, with ample storage space for all your logs and fire wood while taking up minimal space. 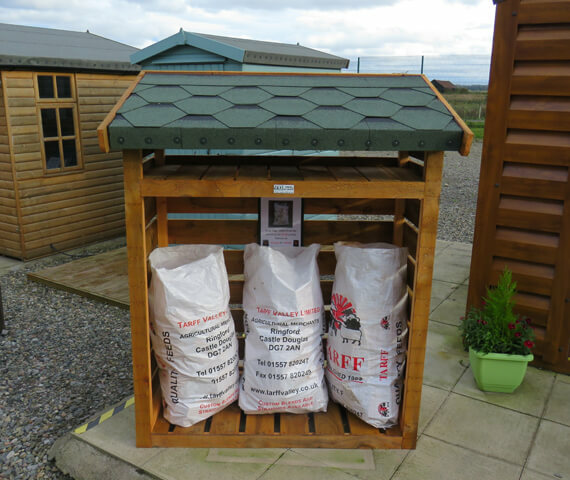 Our Apex and Pent Wooden Log Store styles are designed specifically to provide you with a great solution to your log storage requirements. 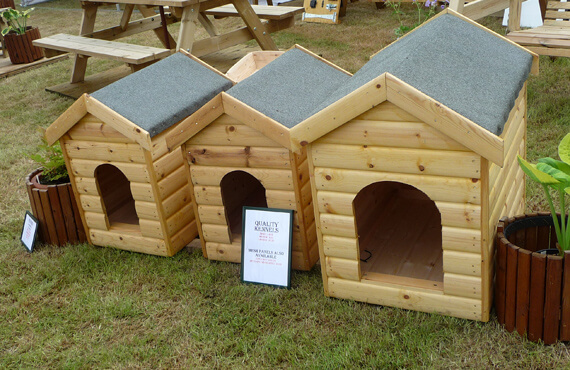 Our Wooden Log Stores are not only practical, but they look great too. 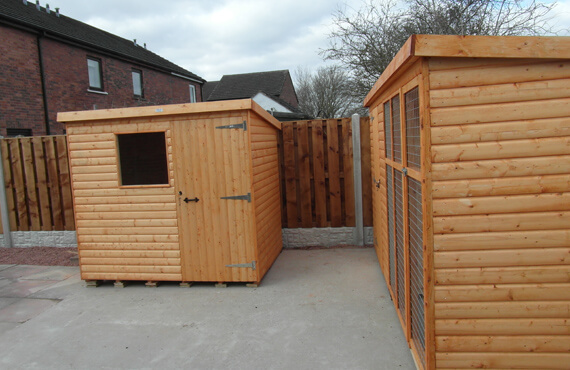 Harker Garden Buildings are an established garden shed builder based in Carlisle, Cumbria. We have over 20 years of experience in designing and manufacturing a full range of garden buildings and wooden fencing panels.